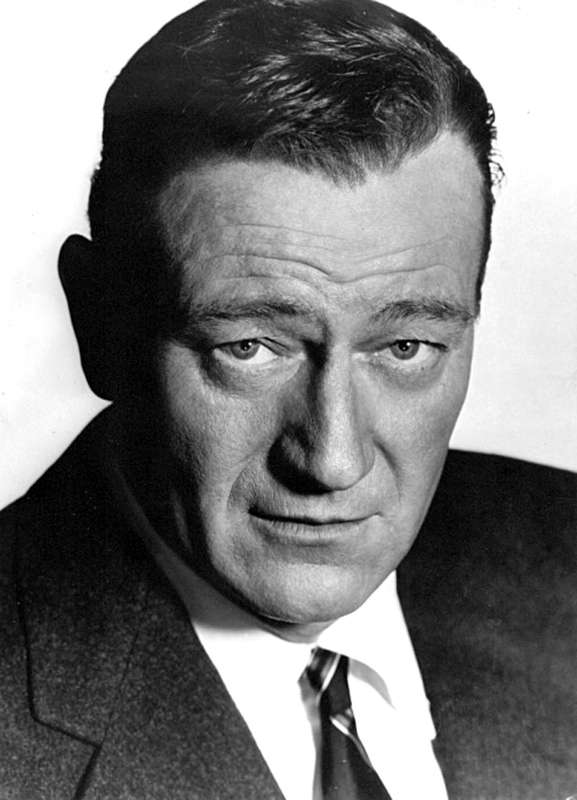 Today in Masonic History John Wayne passes away in 1979. John Wayne was an American actor. John Wayne was born Marion Robert Morrison in Winterset, Iowa on May 26th, 1907. According to a news article in the Winterset Madisonian Wayne was 13 pounds at birth. In 1916 the family moved to Glendale, California. After moving to Glendale Wayne attended the Wilson Middle School. Everyday on his way to school he would pass the local firehouse with his pet terrier, Duke. One of the local firemen started calling Wayne, "Little Duke". Wayne preferred just "Duke" and the name would stick for the rest of his life. In High School Wayne played for the Glendale High School championship team. He was also very active with the local chapter of the Order of DeMolay. For college Wayne would apply to the United States Naval Academy, but was not accepted. He did attend the University of Southern California (USC) on an athletic scholarship. Wayne would break his collarbone which would end his athletic career. It would also end his scholarship. With no funds available for school he would leave USC. His coach who had been giving Tom Mix tickets to USC games asked Mix and director John Ford to give Wayne a job as a prop boy and extra. Wayne would quickly start appearing as an extra in many films. He would also meet Wyatt Earp who was friends to Mix. Wayne would later credit Earp for giving his walk, talk and persona. In 1930, Wayne would be cast in the movie The Big Trail. The director felt that Wayne needed a better stage name. He first suggested Anthony Wayne to a study executive who rejected it. The director then suggested John Wayne, it was approved by the studio executive. It is important to note that Wayne himself was never present for any of the discussions involving his stage name. The Big Trail was a ground breaking film of the new era in sound movies and it is highly regarded by modern critics. Unfortunately it was a box office flop at the time, most theaters did not have the equipment to show the 70mm format film it was shot in. Through out the 1930's Wayne would star in a series of B movie westerns. It wasn't until 1939 that John Ford would give him a starring role in the movie Stagecoach, which was a critical and financial success. The film would propel Wayne to becoming a mainstream star. When World War II broke out, Wayne was declared too old for service (he was 34). He was also classified 3-A, family deferment. Wayne wanted to be reclassified so that he could serve during the war. Republican Studios which held his contract threatened to sue him if he were to leave to enlist. By many accounts, not being able to serve was one of the most painful experiences of Wayne's life. His widow would suggest that in later years he became a "super patriot" due to the guilt he felt for not serving during he war. Through the 1940's, 1950's and into the 1960's Wayne would work with director John Ford on more than 20 films. One of the more notable films was The Man who shot Liberty Valance in 1962. In the film, Wayne for the first time calls another chacter "Pilgrim". In 1969, Wayne would win the Best Actor Oscar for his role in True Grit. It would be his second time being nominated, the first came 17 years earlier. In 1976, Wayne would appear in his final film, The Shootist. In the film, Wayne portrayed J.B. Brooks a man dying of cancer, the disease Wayne himself would pass away from three years later. Wayne passed away from stomach cancer at the UCLA Medical Center on June 11, 1979. Wayne was a member of Marion McDaniel Lodge No. 56 in Tuscon, Arizona. He would become a 32° Scottish Rite Mason, a member of York Rite and would join Al Malaikah Shrine Temple in Los Angeles.